One unique feature is the motorcycle taxi. They are very convenient because of their ability to go into interior places where other big vehicles may not be able to go. The motorcycle taxis are distinguished by their yellow mudguards and white number plate. So as far as two-wheelers are concerned, you can either hire a two-wheeler and drive it on your own, or you can just have a joyride sitting on the pillion of a motorcycle taxi. Charges accordingly vary. sport. Fare chart is available with the driver. Please take a few minutes to read our terms and conditions below. These will help answer quite a few of your questions and also plan your vacation with Nainital Travels. We ask that you understand that motorcycle touring in India (Nainital) is an activity involving risk. 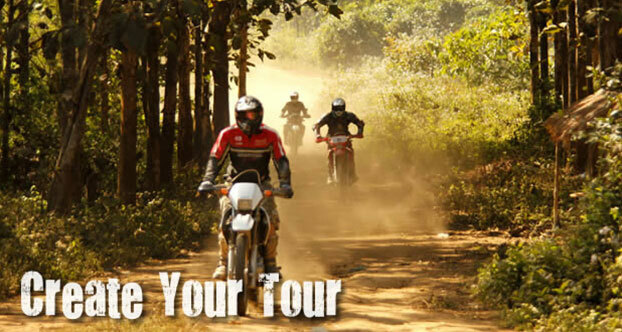 That you accept the full control of your motorcycle whilst on Tour with Nainital Travels. You understand that Nainital Travels will not be responsible or liable for any accident, illness, injury or death, however incurred, whilst on the tour and that you have taken out the necessary insurance to cover these eventualities. When you make a booking you undertake that Nainital is a complete a Hill area and you have the authority to accept and do accept these booking conditions on behalf of yourself and your party. A contract will exist upon our accepting any monies from you towards the booking, or upon the issue of our Confirmation / Invoice, whichever is earlier to make your reservation you need to pay 100% of your tour package amount along with your reservations / booking form. You can book and pay for your tour online or by Email. Payment can also be made by wire transfer or bankers cheque if you are paying in INR (Indian Rupees) (instructions will be mailed to you on submitting your reservation form). Your tour booking without payment will not be confirmed. After a tour booking is received and accepted by us, a reservation is binding. Tour features are described separately depending upon tour package selection. All rates are per person, twin share accommodation with other riders. Prices are fixed at the time of booking and will generally not be subject to surcharges. Surcharge is payable an administration charge of 500 INR (Indian Rupees) per person together with an amount to cover travel agent's commission (if applicable) will be added. We reserve the right to change our prices at any time before you book, including any special offers. If you wish to change your plans in any way and we can accept the change, a charge of 500 INR per person per amendment will apply, provided your instructions in writing are received two months (60 days) or more prior to departure of the tour. You can provide a substitute person in place of you without any charges on same package. If a tour is unable to proceed for reasons beyond our control, such as riots, floods, earthquakes, volcanic eruption, strikes, traffic jam etc then 50% of refund before 30 days, if tour starts then no refund. All motorcycles are insured for third party liability only. No other insurance covers are applied on rental motorcycles. Rider is only allowed to use these motorcycles as road bikes only, no off road or motor sports are acceptable. Rider of the bike under any influence of alcohol or drugs will be prohibited and illegal in Uttrakhand India. Rider will be totally liable of any damage, accident or mishap during use of bike. Rider and passenger must be aware of traffic, road, weather, and other condition. Both rider and passenger understand and fully accept that risk and are solely responsible for keeping their motorcycle under control, selecting an appropriate speed. As a rider you are solely responsible for your choice of riding style and speed whether accompanied by a guide or riding solo. Riders and passengers, their heirs, successors and assignees agree to release, indemnify and hold Nainital Travels adventures, its agents, contractors and employees harmless from any and all liabilities or claims directly or indirectly related to participation on a tour or motorcycle rental. We are responsible for providing and arranging the services in our tour itineraries and descriptions. We reserve the right to modify any part of a tour in the interests of improvement or to adapt to other situations as they arise. We will not be held responsible or liable for any accidents and/or bodily injury or death, resulting from the use of a motorcycle, and riders and passengers indemnify all such claims against us, and our employees. We are not responsible for any act of god, strikes, theft or other conditions beyond our control. We are not responsible or liable for any property lost or damaged while using a rental motorcycle. We reserve the right to correct printing errors or omissions at any time. Unaffected portions continue to remain valid and do not affect this agreement as a whole. Invalidation of individual items in this agreement does not lead to the invalidation of the entire agreement. We cannot stress enough the importance of taking out adequate holiday insurance against cancellation charges, unexpected curtailment of your holiday, medical expenses arising overseas, loss or damage to luggage and personal liability claims against you. We do our very best to ensure your travel arrangements go according to plan. However, if you have a complaint arising from what we have agreed to provide for you, please let us know at the earliest opportunity, if necessary by calling our office from wherever you may be. That attempt to change these terms and conditions only become valid when confirmed in writing by us. These terms and conditions constitute the entire agreement between you and our selves. There are no others conditions, representations or guarantees other than those made here. Note that the submission of a rental, tour booking form constitutes an acceptance of the above terms & conditions. Motorcycle Hire, M.oil and maintenance. Road Book notes and area maps, with en-route contact details. First-Aid Boxes are carried in the support vehicle.